Meeting people in a leisure situation? Working in a splendid ‘period’ house? 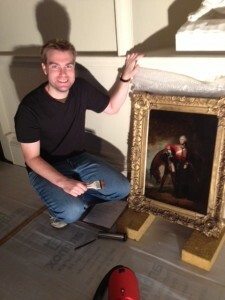 Expanding your knowledge of heritage matters? Working in a friendly atmosphere? 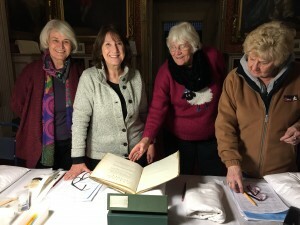 Thirty or more Volunteers routinely act as stewards within the house, undertake projects in connection with the Collection held at Tabley and many have found new horizons. Room Stewarding – Thurs to Sun and Bank Holiday Mons, 1pm to 5pm, April to October. You will be working 4 hr shifts but how many you do in a week/month is entirely up to you. 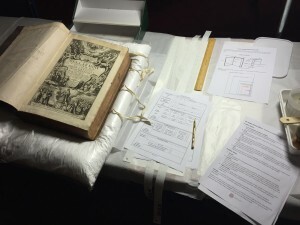 Conservation – Primarily Thurs & Fri 10.30 am to 3.00 pm and Sat 10.30 am to 1.30 pm, November to March – join us for as many hours as you can during these times. Other times can be accomodated by prior arrangement. You will be given specific skills training and an induction to the Collection, working alongside experienced volunteers until you feel confident to go it alone. Don’t worry we won’t expect you to know everything from day one, even our seasoned volunteers are still learning about the objects and art work. You will need to be 18 years or over. The House is accessible for those with mobility problems and we operate an Equal Opportunities Policy.